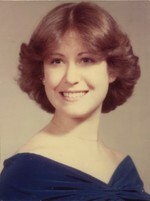 Graduated from U of MD in 1982.Moved to Houston in 1984. Married in 1986 and have (2) fabulous kids now 15 & 17. Began a career in radio advertising and switched to residential real estate in 2005. Remarried in 2000 to a native Houstonian and became a family of six! Fred and I enjoy being a part of the wonderful Jewish community in Houston but Baltimore is still my roots! I remember having a great time in theatre and chorus. Our class had such great spirit. Wonderful memories of good friends. Nancy Kronthal Stow updated profile. View. My family...Harrison (24), Christina (20), my husband Fred, me, Rachel (15), Sam (17).